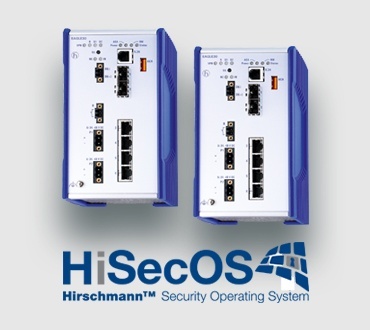 The advanced security functionality of the Hirschmann Security Operating System (HiSecOS) 3.0 software, paired with these multiport industrial firewalls, creates a solution capable of securing and protecting an entire industrial network. Modular configuration options of up to eight ports eliminate the need for multiple routers, which provides significant savings in installation time and costs, while still offering a customized solution. New features, such as Deep Packet Inspection (DPI) and Firewall Learning Mode (FLM), ensure the integrity of packet data, protect networks from malicious intents, and make it easy to configure the device for individual network needs. Customizable design - Interface configuration options include Fast Ethernet, Gigabit Ethernet and Symmetrical High-speed Digital Subscriber Line (SHDSL). Easily configurable - Customized network rules can be created in no time with Firewall Learning Mode (FLM) using the advanced Graphical User Interface available with the device. Secure operating system - New HiSecOS 3.0 security features, including Deep Packet Inspection (DPI), ensure the highest level of security for your industrial network. 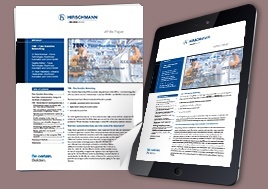 Download the white paper, "The key considerations and challenges around implementing wireless technology in smart grid deployments" and learn the key considerations and challenges around implementing wireless technology in smart grid deployments.